First we brought you salon services and skincare, then we brought you nail colour and BB Cream and now (drumroll please) we are completing our beauty offer by bringing you Sorbet makeup. Everything you could possibly need to feel good. Launching inselected Clicks stores and Sorbet Salons 1 March 2018. After listening to our guests we realised that when it comes to makeup, there are some basic needs that get in the way of feeling good, like finding the right foundation shade…so we set about addressing these needs from the get go. We decided that we should enlist the help of the women of South Africa, so together with Clicks we launched The Skin Tone Project . This nationwide project got us up close and personal with nearly 3000 women so that we could create a foundation range that would match to all skin tones. We found that 28 shades were needed to offer a match for all, giving Sorbet one of the most extensive ranges in South Africa. the products you need to take it all off again too, we have made sure that our products work hard so you don’t have to. Oh, and to help a little bit more we compiled our top picks from the range as our makeup must haves and called them our Sorbet Stars. Sorbet Prep & Poreless All-In-One Super Face Primer – Used under your foundation and makeup, this antioxidant-rich primer works with all skin tones to create a smooth, poreless canvas. Sorbet Cover & Go Concealer and Foundation – Do you struggle to match your concealer to your foundation? This full-coverage foundation and concealer duo takes the hassle out of finding the perfect concealer shade, as it houses a matching concealer in the cap – along with a handy mirror for touch ups on the go. Available in 24 shades. Sorbet What a Cheek Blush Cheek Stamp – this nifty blush features a built-in applicator sponge for a no-mess pop of colour in 1 of 3 pretty shades. Sorbet Shimmer & Glow Shimmer Bronzer – choose 1 of 2 dazzling palettes for an instant pick-me-up that gives you a beautifully soft and natural glow. It features baked powder technology for a luxurious finish. It can be used to add a bronzed glow to both face and body, and each strip can be used as an individual eyeshadow. Sorbet Glow & Tell Liquid Highlighter – this golden glow award winner can be mixed with your foundation or primer for a radiant look, or simply dab a little onto your upper cheekbones and temples for the perfect highlight. Sorbet Stroke of Genius Precision Pen Eyeliner – this curved eyeliner pen is the ultimate helping hand when it comes to creating the perfect winged eyeliner look. It’s highly pigmented and contains moisturising vegetable oil, while the curved design ensures smooth and easy application. 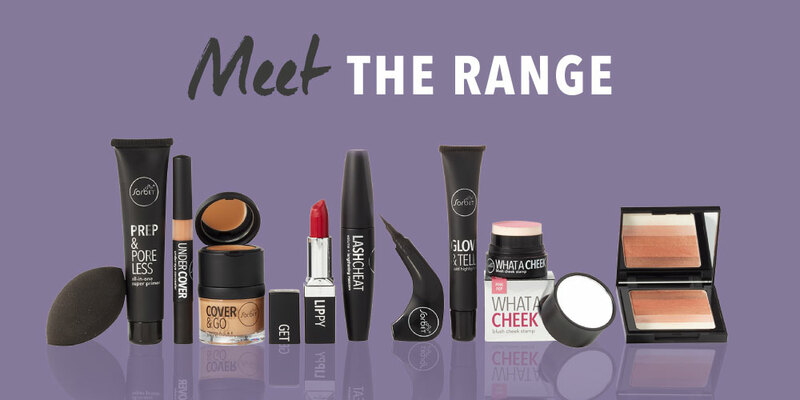 With our team of trained makeup experts in store you can get all the help you need to choose, apply and master your own makeup. And although you can’t take our makeup experts home with you, you can get your hands on a full range of professional tools designed to make it easy to get a pro finish everyday. Launching in 120 Clicks stores and 40 Sorbet salons nationwide on 1 March 2018, there’s no denying it: makeup is about to get real!